NIXEYCLES Corporate Branding Programs - Custom Company Bikes. NIXEYCLES offers special programs for your organisation or community wishing to purchase or lease a fleet of bicycles. We have the capacity to fulfil any order size. Our team will help you design and build corporate branded bicycles from just 1 to a few thousands. You will have access to wholesale prices for bulk orders as well as maintenance and servicing for the fleet of bicycles. What can a fleet of bikes do for you? 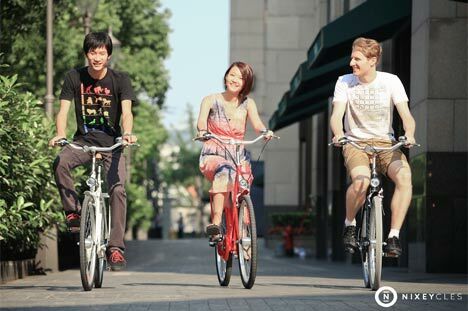 Fleet bicycles benefit employees and neighbourhood residents during their commute. Some examples include reducing the need for car spaces, costs associated with owning a car, encouraging environmental awareness and yielding the health benefits associated with cycling. Our bikes can also be customised to include your organisation or communities logo to be used for advertising campaigns. By travelling on bicycles in high density urban areas, it reduces congestion on roads whilst gaining greater exposure to the public given the same amount used to travel around as bicycles are a more efficient way of travelling around town. A fleet of bicycles bearing a companies logo may also be used as promoting prizes for competitions or awards for individuals. If you know an organisation or community which may benefit from our program and we successfully gain the business, we will award you with a bicycle of your choice. We would love a referral to someone within our organisation or community. Please note delivery time may vary according to model requirements and placement of order time. Here are some examples of where your company logo can go. Alternatively they can be positioned on any of the bicycle tubes. 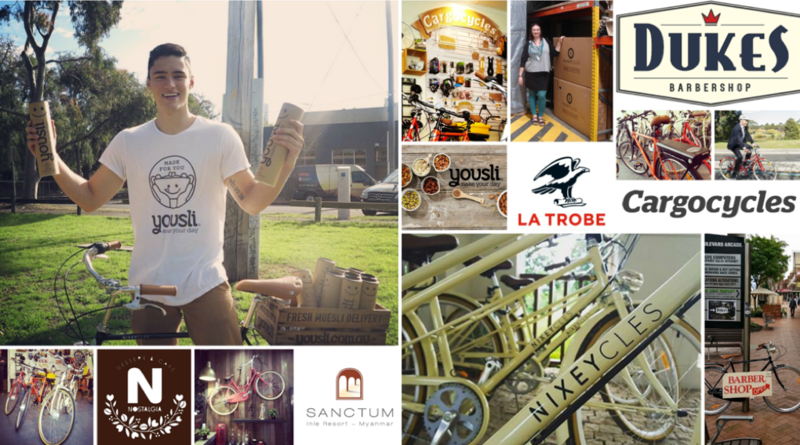 In the past, we have proudly worked with La-Trobe University for their free bike program, Sanctum Myanmar Resort for free patron bike hire, Yousli for transportation of their healthy foods, Cargo Cycle for e-cycle conversions, Nostalgia cafe for wall decorations, Duke’s Barbershop for shop feature display and Yogala for their Yoga advertising on a bicycle sandwich board.